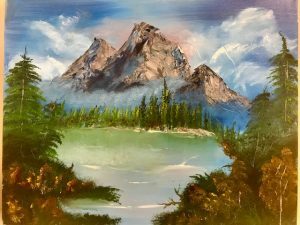 In this class, students will learn the wet on wet technique of oil painting. This classic Bob Ross technique allows the artist to blend colors directly on the canvas, and produce a complete painting in a short amount of time. These are individual classes, so each student can take home a full landscape painting in one class. No prior drawing or painting experience is required, and beginner adults, ages 16 and up are welcome. Intermediate-advanced artists are welcome as well. Students should provide supplies. You can buy through an art supplier, Hobby Lobby, or Wal Mart. Feel free to call the Art Center with any questions regarding supplies. (512-321-8055). Classes held every Tuesday, 1-3:00pm.